There is an odd sort of tension infused into almost every aspect of Final Fantasy Type-0. It not only exists in the bizarre quasi-high definition visuals, which combines various updated artworks with hilariously archaic ones, but also in the very essence of what Type-0 actually is. Though war and conflict are at the centre of its story, that tension is mostly felt in the way that Type-0 subverts expectations. While it might wear the Final Fantasy iconography on its sleeve, it is a game that feels unlike most every game in the franchise. 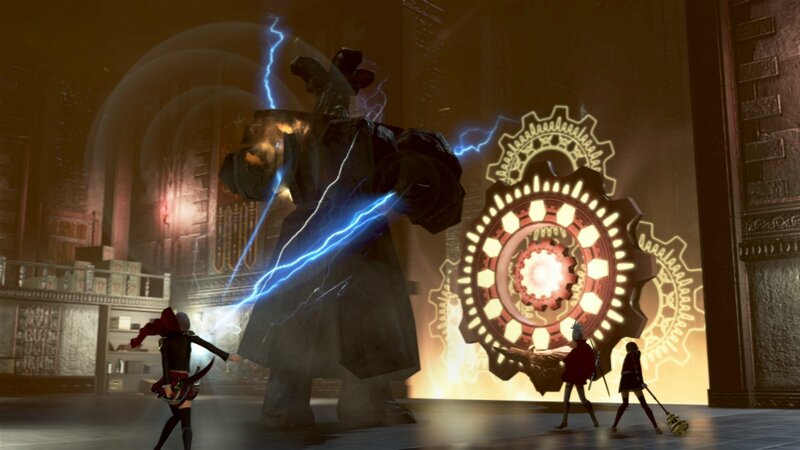 Like the characters you’ll guide through the convoluted story, Final Fantasy Type-0 is unquestionably an anomaly. As a franchise that has achieved widespread acclaim due to its intimate focus on storytelling and characterization, Final Fantasy has a reputation for weaving incredible yarns. Type-0, however, feels estranged from the rest of the franchise due to how distant and cold those same elements are. While the series has never shied away from diving into complicated themes and concepts, Type-0 elevates this cryptic approach to storytelling to almost absurd levels. The opening cinematics alone are a shotgun blast of proper nouns and indecipherable mantras that, without a greater context, only serve to bombard the player and leave them bewildered and confused. Part of this problem is due to the fact that Type-0 is designed to be played multiple times. The campaign missions that comprise the meat of the game are all able to be replayed in their entirety, and the birdseye focus on the 14 main characters means that getting to know all of them in one single pass is almost impossible. While I appreciate that Type-0 is the kind of game that rewards skill and encourages repeating the main story and missions multiple times to hone that skill, it’s also a huge shame that the story requires the same dedication. But even if you’re dedicated to squeezing every last drop out of the story, doing so is tedious and unrewarding. Though the backdrop of conflict persisting through the game is, on a surface level, captivating, the more intimate drama present between the characters is boring and trite. 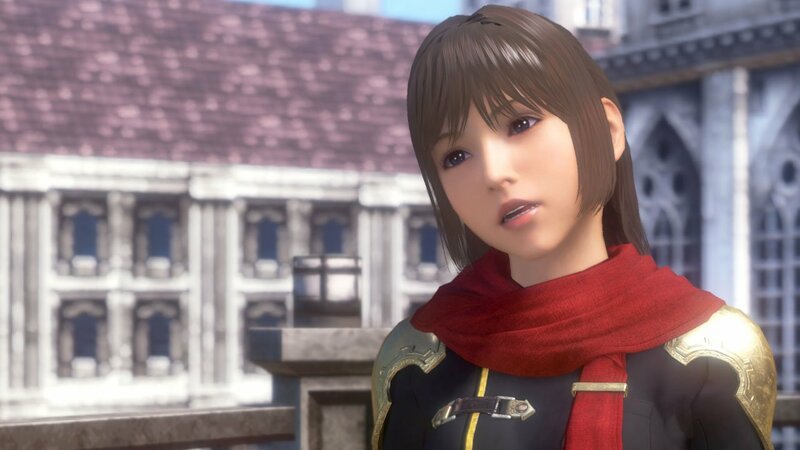 The 14 cadets of class zero that you’ll guide through the battles of Type-0 are largely one-dimensional characters hopelessly chained to a series of clichés and tropes. Ace, the closest thing Type-0 has to a main character, is your typical brooding youngster, while others, like Cinque, fill the role of being dimwitted and offbeat. When you aren’t battling your way through missions or exploring the open world, Type-0 centres around the life of its teenagers-turned-weapons and life within Akademia, the military academy that you attend. Time between missions is allocated over a chunk of hours which you can spend completing quests, chatting up various characters for rewards, or viewing cutscenes that help shed a light on the personalities of each member of class zero. While making proper use of your time can be engaging, anything having to do with the story or the personalities of these cadets is wholly boring. The voice acting is dismal and only further tarnished by sparse dialogue that frequently feels like each word was stitched together from separate sentences. By and large, the best aspect of Type-0 is the combat. You’ll be itching to rush into missions so that you can finally progress the meagre story and take each of the 14 cadets out for a spin. 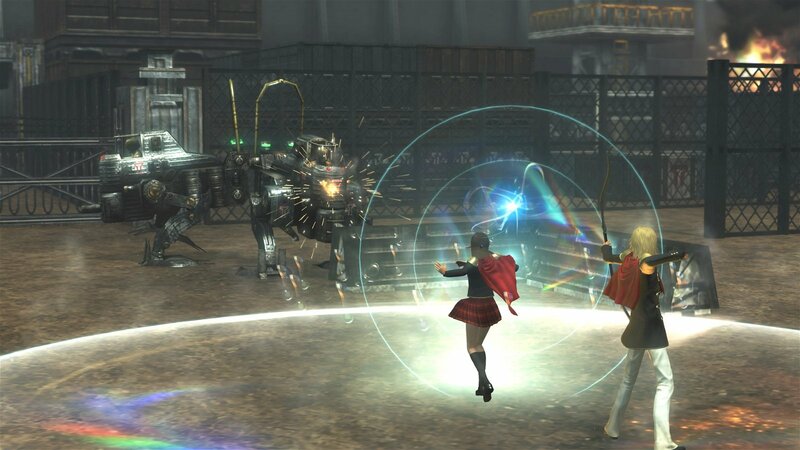 Forsaking the menu-based battle systems of its cousins, Type-0 is a third-person brawler where you control one cadet while being assisted by two others. Each cadet is astonishingly unique from the others, giving them a life that their often forgettable personalities never could. While some might wield Magitek pistols capable of applying elemental damage, others will use swords, maces, spears, and even a flute. Each character is so diverse that exploring each and every one of them and how they work in combat is a true joy. But those moments when you’re hacking and slashing your way across the thirty hour campaign, joyful as they may be, are severely hamstrung by just how boring everything else is. 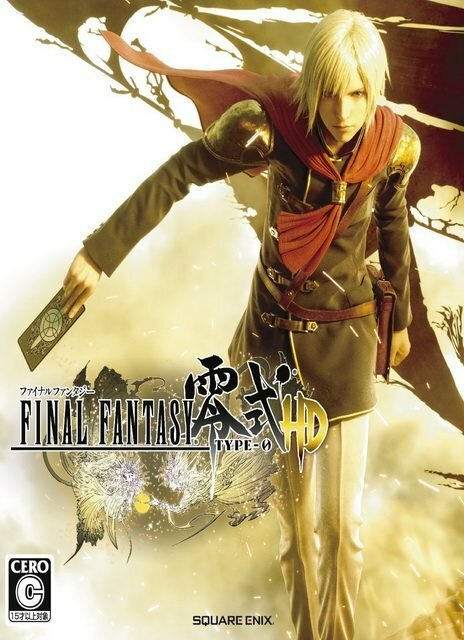 There is so much depth to Type-0‘s combat, and all of the systems supporting it are engaging to work with, but because this game existed originally as a PlayStation Portable title, so much of it simply cannot hold up to modern standards. Graphics are easily the biggest issue. While the class zero cadets and some notable characters have received a makeover to help them feel more modern, they feel completely at odds with the flat, static environments that they exist within. Levels are tiny and loading screens chop of the pacing far too frequently, which continues to make you painfully aware that you just paid quite a bit of money for a game that is, a few remade assets aside, largely a straight port of an increasingly outdated game. While there are a host of graphical options on PC, it’s also worth noting that Type-0 is locked to 30 frames per second. Even worse, the game is nearly unplayable without a controller due to how frustrating and awful the keyboard controls are. As a Final Fantasy fan, I wanted to like Type-0 so much. The variety of ways you can approach combat is so enthralling that there were times I was more than willing to look past all of the issues that plague every other aspect of the game. Yet, even so, Final Fantasy Type-0 is really only worth it for the diehard fans of the franchise. There exists so little of what made Final Fantasy great to begin with in Type-0 that, despite having its moments, you’re better off skipping class on this one.